SPECIALISED IN UNDERWATER PHOTOGRAPHY. 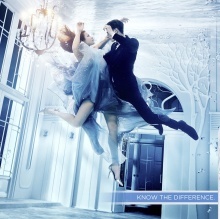 - WE SHOOT CAMPAIGNS AND EDITORIALS - BOTH, ABOVE AND BELOW THE WATER LINE. SUSANNE STEMMER isn't following anyone yet.